Cook up something colorful and fun for that Independence Day gathering! Who wants an ol' boring salad? Boil water and cook pasta to al dente. Drain and rinse with cold water in strainer. Mix with the remaining ingredients and chill until time to serve. Enjoy! Tofurky is not just for fall and winter, Kids! Here is a nice summery recipe to prepare a Tofurky (or even Field Roast if you wish)...and get this one, it is crockpot easy! Place all ingredients in crockpot on High for 7 hours, switching to Low for the last couple hours if necessary. This depends on if you thawed your Tofurky or not. I chose to run mine under warm water, just enough to safely remove the outer casing (please be careful either way - I safely snipped off one end with kitchen shears then peeled casing off) and cook the entire 7 hours on High. This can be served with sides like a summery salad and/ or bread and the accompanying Tofurky Gliblet Gravy. Enjoy! The cauliflower adds body that's hearty but light without the heaviness like autumn/ winter potatoes! What Do Vegans and the President Have In Common? The President just loves Dirty Vegan Foods! Do you like how I totally nailed the accent and speech pauses?! Wowzers, look at me in my belly shirt! Those abs gotta be from being vegan!!! Hope these gave you a laugh and helped brighten your day. Now continue to giggle through the rest of it! Okay, so I just got a generous package of goodies sent to me from Nature's Path (thank you!!! )...and I'm embarrassed to say I've completely wolfed through the entire stash (okay maybe I'm not so embarrassed, I am the Dirty Vegan after-all. Did you expect anything different?). Crunchy Maple Sunrise cereal (gluten free) - The taste of this cereal is crunchy, fun, and totally reminds me of camping and autumn for some reason. For that, I am hooked on this - my new breakfast staple. It's got potassium (add banana slices and you'll have even more), quinoa, buckwheat, amaranth, fiber, whole grains, Omega-3, and other good-for-you ingredients (while tasting like a dessert cereal). And its even gluten free; too cool. Mesa Sunrise cereal (gluten free) - This cereal is healthy cereal at its finest, and tastes really amazing for something so healthy for you. This cereal will get your metabolism revved up with body fuel like flax, corn, and amaranth. Sodium and sugar are real low in this too, which would make this my go-to cereal the next day after being maybe a little too Naughty (is there even such a thing?). Trailmix Granola Bars - I'm in love with these bars! Best bar I've ever had! Its not a protein bar, so don't expect that. These are trail mix granola bars. Some have more protein than others. I think this is the perfect snack. 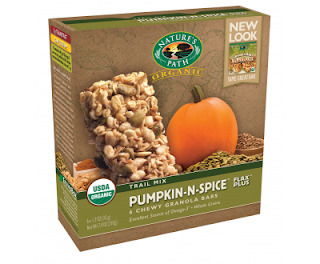 Incredibly yummy, not heavy or junky, and the Pumpkin-N-Spice reminds me of camping and autumn - two of my favorite things. Any food that reminds me of good times like that is definitely a keeper. Remember, food is very emotional and significant. Food is fuel, keeps you alive, can represent family or friends, can heal, can bring back memories, can bring people together, can comfort, can nourish, can break the ice...and so on. I think Nature's Path Organic nailed it all. Wholesome food that also fits into people's lifestyles. I'm more of a fan than I was before (and before I was a big fan, so now I'm a MEGA FAN!). I would also like to note that Nature's Path uses a lot of wholesome ingredients such as: ancient grains, hemp, quinoa, buckwheat, flax, and more - all organic. And I love their eco-packaging, called EnviroBox ("Less Package. More Sustainable") and they also do Eco Pacs for products like Mesa Sunrise! They also are the makers of EnviroKids cereals and snacks (oh, don't pretend you don't eat em'...you know you do! I do...kid at heart!). Thank you NP for making awesome products! Keep on keepin' on! And for now, the Dirty Vegan is signing off. Wishing your next meal brings you joy, great memories, smiles, and good health! A quick bite with your fellow famous friends and/ or lover before a night on the town? A business lunch to go over your newest project? Lunch with your girlfriends (and/ or boyfriends!) during your day of shopping at the hottest stores? We've all seen the tabloid pictures of celebrities and socialites like Paris Hilton, Lindsay Lohan, Nicole Richie, Mila Kunis, Rachel Bilson, Miley Cyrus, and Britney Spears dining at hot California restaurants such as Koi, The Ivy, and Mr. Chow. And how about New York City eateries like Butter and Il Cantinori? Have you ever wanted to have the superstar experience yourself, but maybe are stuck in a state like Rhode Island, Massachusetts, or New Jersey? Also maybe you are wondering how to dine like a celebrity when you are vegan. Well have no fear - Papa Razzi is here! Papa Razzi Trattoria & Bar in Cranston, RI is super swanky, chic, and the place to see and be seen. And it just to happens to be located in the glamorous Garden City Center where you can find sophisticated retail locations such as Anthropologie, Williams Sonoma, Whole Foods, Starbucks, and lots more, to fulfill your wildest Rodeo Drive fantasies. The perfect day? Shopping at these glammy stores and boutiques then waltzing into Papa Razzi just in time for your reservation...and possibly getting your photo snapped by the paparazzi! Well you do look fabulous in those designer shades, with shopping bags from the hottest stores, dining at this stylish establishment, with the tastiest vegan options. And yes I said vegan options...read on for details! The experience at Garden City is definitely very celebrity, but when you approach the restaurant, the swank-factor gets taken up a notch; even more when you step inside. You first will notice the luxurious and hip decor. The bar is really modern and cool if you just want to go in for drinks and a bite. Also, something that caught my eye immediately was the gorgeous staff - but since you are a beautiful vegan socialite yourself, who else better than other gorgeous people to be a part of your dining experience? The bathrooms are clean and lavish also. But I know you didn't come here to only hear about the hot staff and the decor; you want to hear about the vegan-friendly food! There are an assortment of sumptuous salads to choose from; my favorite is the Spinachi which is baby spinach, fresh strawberries, shiitake mushrooms, and vinaigrette (just ask for it without the goat cheese). There are also a variety of pasta dishes that can be made vegan upon request. What I love about this restaurant the most is the friendly and approachable vibe. The waitstaff and management are so helpful and accommodating That is very important to me when dining out, and the fact that Papa Razzi is so kind to people with alternative diets, means a lot. For dinners you can also get wood-fired, thin crust pizzas without cheese (I do this at Bertucci's too and they taste amazing!). The vegan possibilities are so great when you are at an elegant restaurant like this with a huge selection of ingredients and wonderful people willing to serve you up tasty veg-friendly dishes! Right on the Papa Razzi menu they encourage you tell them if you have any special requests, which is awesome for a restaurant to do. And you all know how proud of my Italian heritage I am (hence most of my recipes on here are Italian dishes and/ or heavy on the Daiya cheese! ), so it is cool for me to be vegan and find a cool Italian restaurant willing to accommodate my diet. And seriously, what's more celebrity than getting a custom made vegan dish that a talented Italian chef creates for you? Chefs love doing that stuff, but rarely people ask them to. There are other Papa Razzi locations (like upscale Newbury Street in Boston and even locations in DC! ), but if you are in the Cranston, RI area, I do recommend this one for the whole experience at the Garden City Center and the exceptional restaurant service. I hope you enjoy being fabulous and almost famous! You can tell them the Dirty Vegan sent you, but I can't guarantee the VIP treatment is from me - you may just feel fancy saying it. For now, the Dirty Vegan is signing off. Champagne dreams and tomato sauce wishes to you, my Friends! 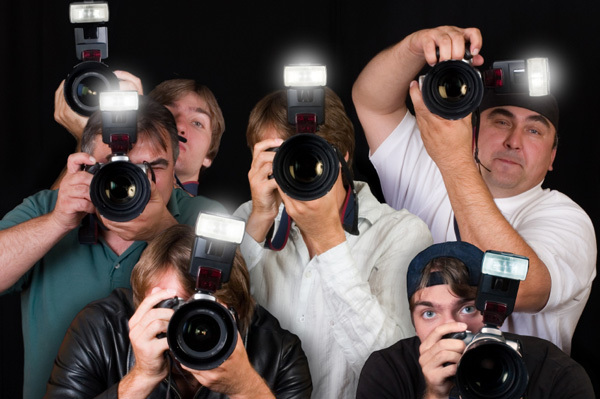 Good luck in ducking the paparazzi, all you Fabulous Naughty People! Whenever I get the opportunity to try something that's vegan and amazing, I just have to share the experience with my wonderful readers! In this post I am talking about some new vegan products that I have tried recently from three different companies, and giving you the scoop on which ones are my faves. 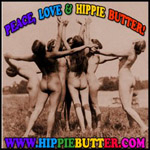 I've blogged about Hippie Butter before. I said I liked the butts artwork on the packaging and really liked their pure hemp protein product. They awesomely sent me some more goodies to try, I tried, and I like. They sent me their Toasted Hemp Seeds which are a delightful and healthy snack and they also sent me Hemp Flour and Hemp Seed Bath Soap. Out of everything Hippie Butter that I have tried, the Dirty Vegan favorite is the soap! Best soap I've used in a long time. Hemp is seriously a super food/ product. Its so nutritious and even does wonders for your skin. 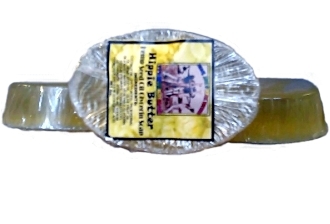 The smell of this soap is pretty and fragrant and the hemp seed oil moisturizes your skin with its nourishing properties. I like all Hippie Butter's food items almost equally, if I had to choose only one as my favorite, I would say the Toasted Hemp Seeds would be it. I love convenient, portable, nutrition and Hippie Butter's Toasted Hemp Seed Snacks do the trick - no butts about it, enough said. 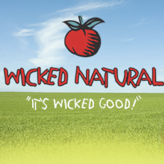 The folks at Wicked Natural say that their products are, "Wicked Good!". I say that they are living up to their slogan, at least with what I've tried of theirs. They gave me a jar of their Eggplant Caponata (after confirming for me it was vegan - I thought that was sweet, I didn't even have to ask), and I have been using it in everything! First off, the flavor is complex. You've got sweet, you've got savory, you've got cocoa, eggplant, and olives in there - its wicked crazy - and I like it! So far, I've used it in salad as a salad dressing (a few spoonfuls mixed with olive oil, sea salt, and black pepper), added into my pasta primavera, and as veggie burger topping. A little has gone a long way and the jar made it through all of those creations. It appears some of their other products are vegan-friendly like their Cocktail Sauce, Ketchup w/ Agave, and maybe their Farmer's Market Salsa, but you would have to confirm before purchase just to be safe. I give the Caponata a big Yum! I've heard about ProBar and was hoping someone would approach me with some of their delicious bars to try - my prayers were answered! You know me, I love vegan and I love a company who is brave enough to call their products 100% vegan (we all know how many products are vegan-friendly, but rarely people shout from the rooftops that they are - maybe more companies should start) - well with ProBar there is no guessing. There are vegan-friendly bars that range from Koka Moka to Honey Graham (I know, right!? They make a mock-honey bar). The ones that I have tried are the Rocky Road (super yummy! ), S'Mores (like being at a campsite, wherever you happen to eat this), Nutty Marshmallow (they did a good job with this one! ), Superfood Slam (healthy tasting, but I like it), Koka Moka (really amazing - I shared this outside with some chipmunks and they loved it too! 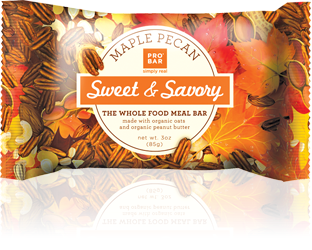 ), and Maple Pecan (sweet, savory, reminds me of the best autumn memories, even in a heatwave). The Dirty Vegan faves are Maple Pecan (I want to eat one everyday for the rest of my life) and Koka Moka! Ones I want to try very soon are Cherry Pretzel and Kettle Corn. Bravo ProBar, you nailed it. Also, these are whole nutrition meal bars and have a lot of good stuff that your body needs to sustain energy, I don't want to forget about saying that, its important. Thank you Hippie Butter, Wicked Natural, and ProBar for the yummy deliciousness to try. I will be your taste tester anytime...wink, wink! And for now, the Dirty Vegan is signing off. 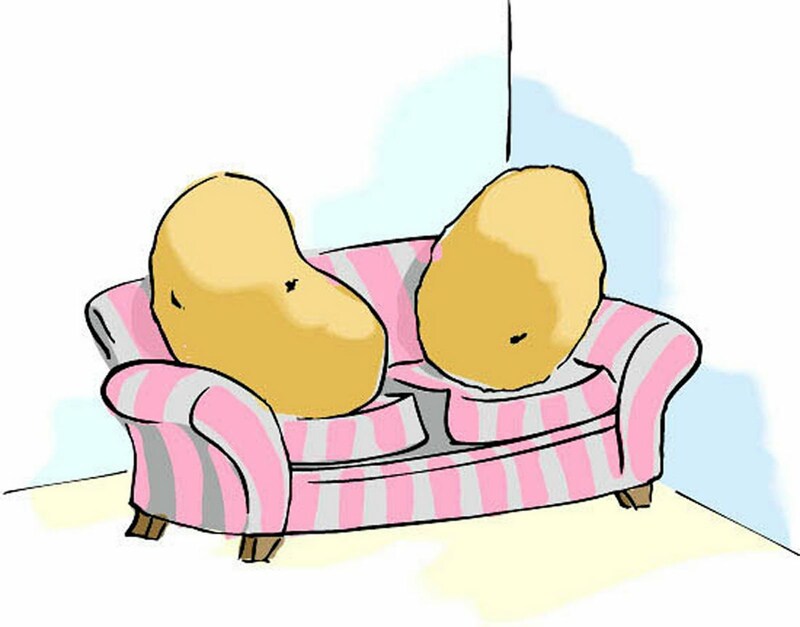 I hope you have a nutty day that is filled with savory! Make My 'Roasted "Sour Cream" & Onion Potatoes' Recipe - Couch Potato Approved! Preheat oven to 400 degrees. Prepare and quarter potatoes. In a baking dish, place all 9 ingredients and toss together until potatoes are well coated. Bake for 30 minutes or until potatoes are crisp and golden on the outside and soft in the center. Place a dollop of vegan cream cheese on top of each serving for extra flavor and presentation. Enjoy! What would you do if your anti-vegan boss caught you looking at vegan stuff online during work? I hope your day is real Boss, man (and Dirty too)!